Katy Waldman When you leave the theater, you feel as though you've finished a road trip through some of High School Film Land's best-loved attractions... But each stop is ever so slightly better than you remembered. Not another teen movie, indeed. Matthew Lickona It's a snapshot of the kids of today, overlaid with the filter of a somewhat more grownup sensibility. Barry Hertz Steinfeld attacks the role with a sly ferocity and a fearless streak of self-deprecation - you either know a Nadine, or you are Nadine. Adam Graham "Edge of Seventeen" is something special. To see it is to remember what it's like to be 17, and to be grateful you're not 17 anymore. 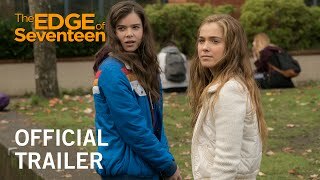 Brian Lowry Hailee Steinfeld became a child star to watch in True Grit, and delivers on that promise in The Edge of Seventeen, a coming-of-age movie that owes a debt to John Hughes films but establishes its own voice for the selfie-and-sexting generation. Stephen Holden It can hold its own against "The Perks of Being a Wallflower," "Clueless" and other movies that have raised the bar on teenage movies. Ella Taylor Craig writes fresh, sharp dialogue, knows what she's doing around actors and is unafraid to get out on a ledge. Ryan Porter While teenage tropes are dutifully checked off - the love triangle, the makeover, the party gone wrong - there's originality to Nadine's lonely quest to find her place, only to ultimately learn she's not alone in being all alone. 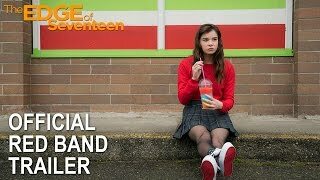 Justin Chang "The Edge of Seventeen" is the rare coming-of-age picture that feels less like a retread than a renewal. It's a disarmingly smart, funny and thoughtful piece of work, from end to beginning to end.